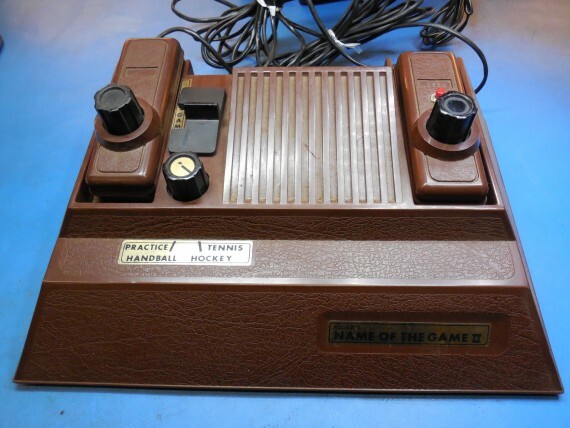 This is the complete tear down and restoration of a 1976 pong clone game console called “Name Of The Game I” model A-100 by Allied Leisure Industries Inc. In the video you will see I expose a little old school video voodoo, at least that is what I’m going to call it because I have no idea how it works. I’m sure some people know why tuners are build like this so please feel free to educate me a little on the subject. I found this pong clone so I could restore it and give it to my sister for Christmas because we used to have this very game as kids. If you’re interested you should watch part 1 which covers the product review and video of my Sister receiving the game she never thought she would ever see again. Below the video are lots of photos. 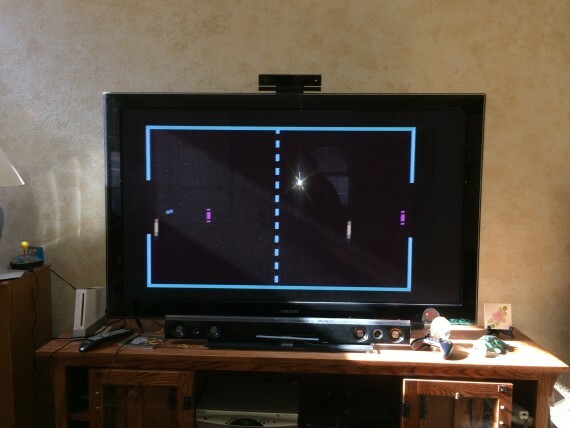 It took me over two years of searching eBay and other sites but I finally found a working 1976 pong clone called “Name Of The Game”. 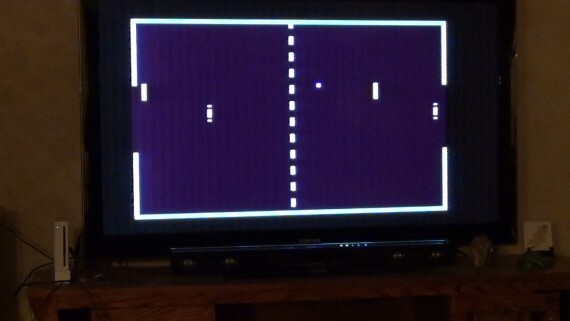 I wanted this game for a very long time because I had this pong clone when I was 9 years old and my sister and I enjoyed it quite a lot. Unfortunately when I was 14 I chopped it up for spare parts to build Commodore 64 peripherals like paddles and a light pen. In later years I felt sad for destroying a game my sister enjoyed so much and I wanted to make up for my mistake by finding, restoring and gifting one to her for Christmas. Below is the video of the product review which ends on Christmas when my sister receives her most unexpected gift. Coming soon will be part 2 showing the complete tear down and restoration with lots of photos and some video voodoo. 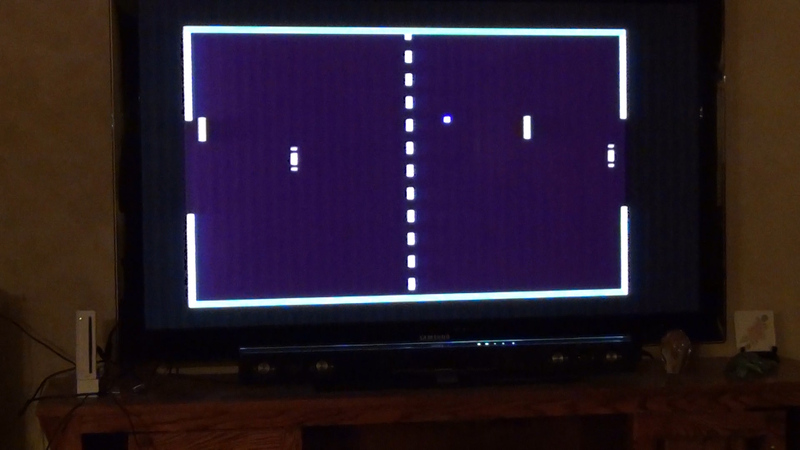 The below photos show how good the fully restored pong clone looks on my 63 inch TV. We played the game for 3 days straight over Christmas. Everyone enjoyed playing quite a lot. 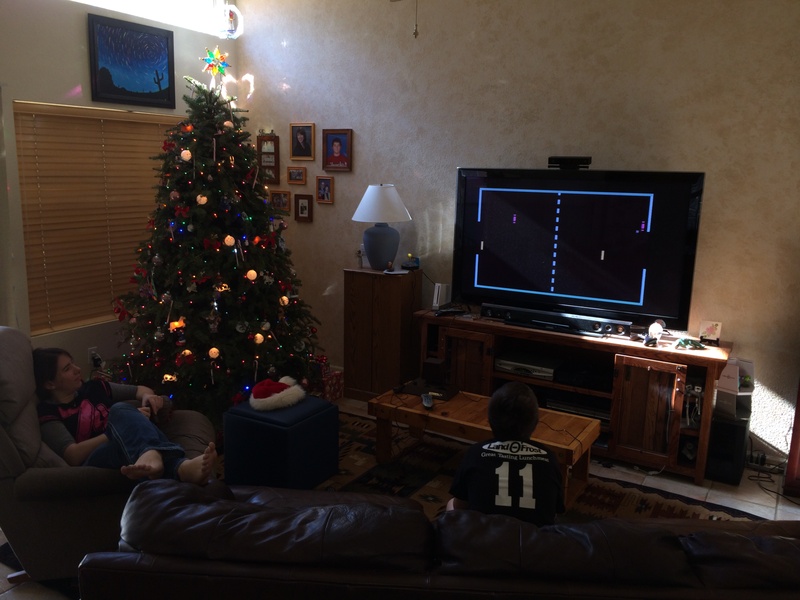 Strange to think how it can still be such a great multi-player game after 38 years. BONUS VIDEO: Here is a short clip of another A-100 in the wild. It was purchased by a YouTube viewer named “wattersm” for $4 at a Goodwill store. WOW! He had to do some repairs. You are currently browsing the ToddFun.com blog archives for January, 2015.